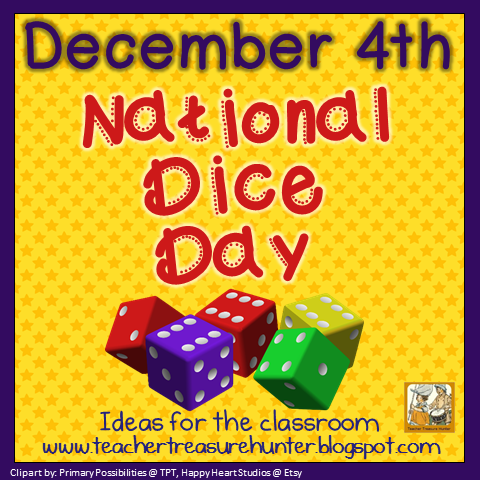 Today is National Dice Day! Dice are a part of many fun family games — including Monopoly, Boggle & Yahtzee. 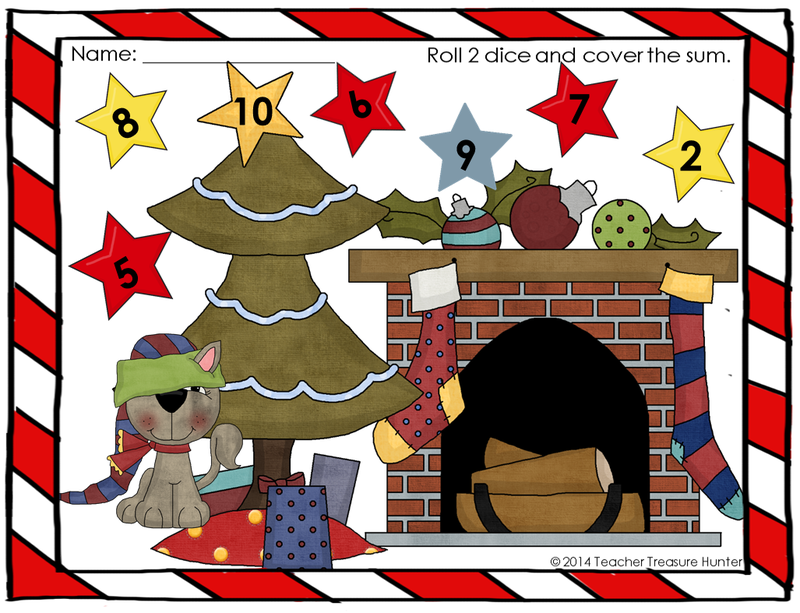 They are also a fun part of many educational math games. Dice have been around for a very long time! In Iran, archaeologists discovered the oldest known dice. They are over 5,000 years old! I couldn’t find a picture that I could post, but you can see a picture of the oldest dice here. The picture on the left shows dice that were likely used during the American Civil War. Historically, dice have been made from bone, wood, ivory & plastic. There are many more materials available today. A little trivia – –did you know that the dots on dice are called pips? This is also the word for the dots on dominoes. We have been taught that die is the singular form of dice. However, according to the Oxford dictionary, dice is now used for both singular and plural. I wish I would have know that at the beginning of my research for this post! While looking for graphics to use, I typed “dice” into the search field of a graphics site and when there weren’t any results (should I say – “no dice” LOL!) I quickly typed in die. Then, I started laughing thinking about the absurdity of finding a graphic for die on this cute graphics site that caters to scrapbookers– not to mention what will the site owner think when they look at the history of search terms. I’m pretty sure that I will be the only one who used that search term! 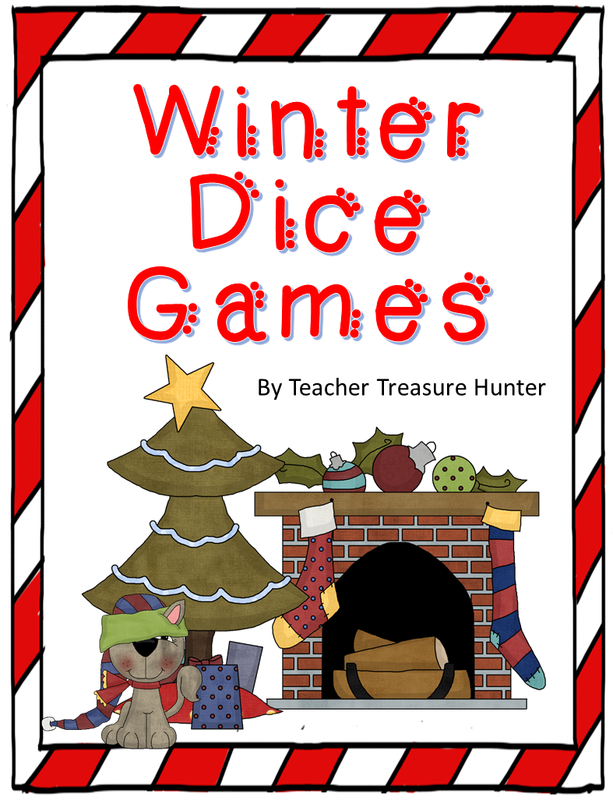 There are many great classroom resources that use dice. I’ve provided a little list here of some freebies. Read to the end of the post for a few ways to organize your dice collection! Happy dice day! Now, go “shake” things up in your math lesson today!